Article from Michigan Capitol Confidential by Evan Carter. 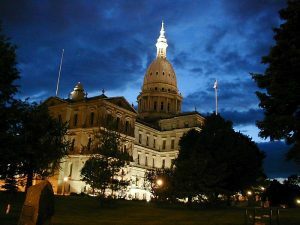 Currently, Michigan is paying 20 state employees annual salaries totaling more than $1.2 million to do union work on a full-time basis. Some other employees receive partial union release time. The information came from an open records request to the Michigan Civil Service Commission. The commission confirmed in an email that the unions don’t reimburse the state for these costs. Read the entire article at Michigan Capitol Confidential.